It’s the last day of September, so it must be time for Halloween! I disagree, but Jess seems to think so. Here she is in a witch costume, swimming in candy corn. Jess is one of my favorites. 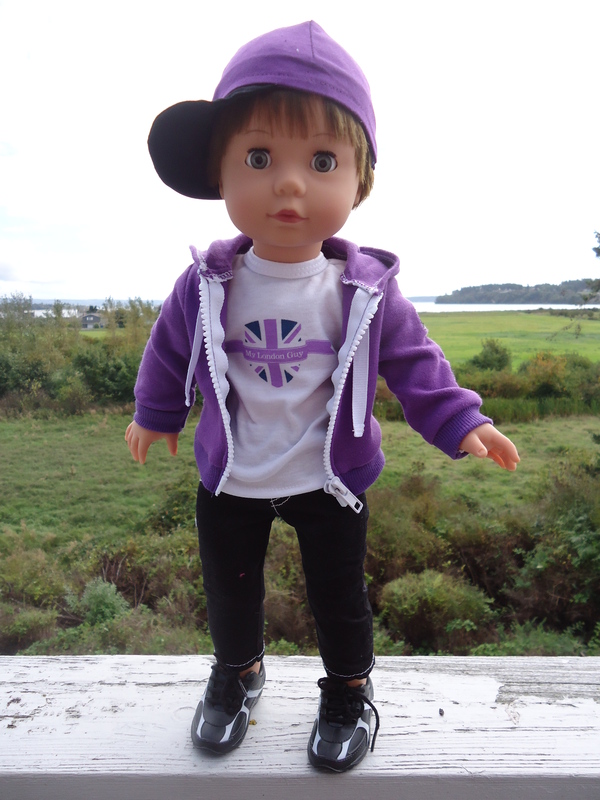 She was my 6th American girl, after Molly, Kit, Lindsey, Kailey, and Marisol. I lived in Ohio when I bought her, and I could barely afford her at the time. I’m a sucker for her orange and pink dress, especially with her dark hair. In Jess’s story, she and her family head off to Belize. So, in honor of Jess, I’m off to the library to explore vacation destinations! Hello. And say hello to Jenna. I love Jenna. Jenna and I have really bonded because we’ve left the country together (we went to Prince Edward Island and Nova Scotia together in July). Here’s a photo of her looking cute and Canadian. Running a little late today. I blame my mother. Here is another Madame Alexander. This one’s Japan. I think she looks like a boy. 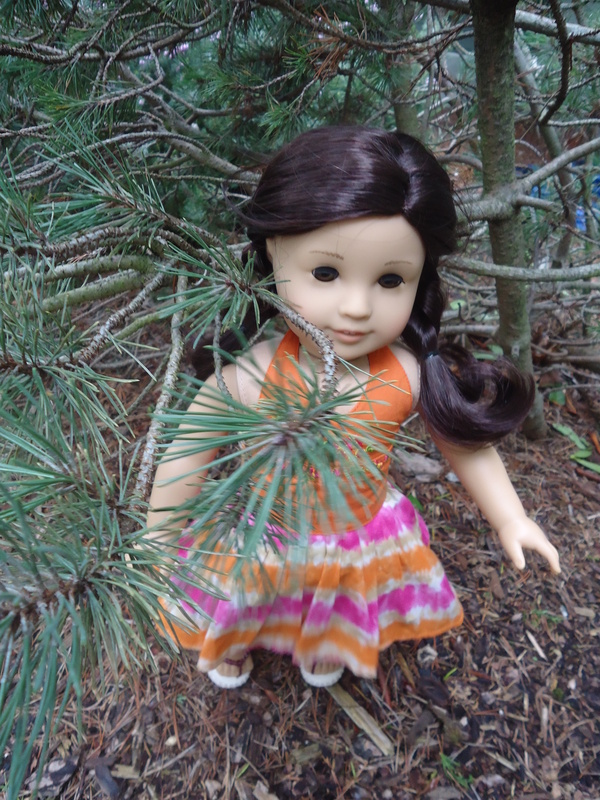 Isabel is a doll from American Girl’s short-lived Girls of Many Lands line. 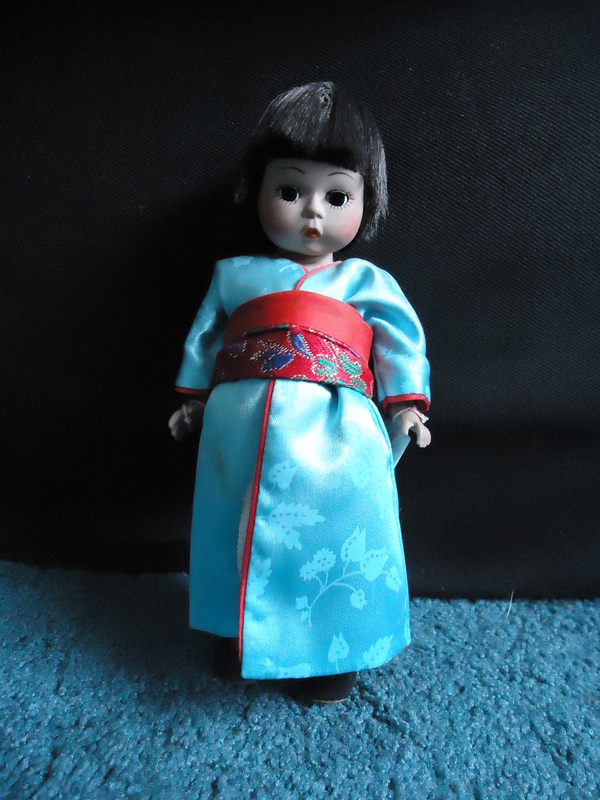 She is about 10 inches tall, and came with a book. The Girls of Many Lands books are written at a 6th grade level, and I love them. Isabel lives in Elizabethan England. 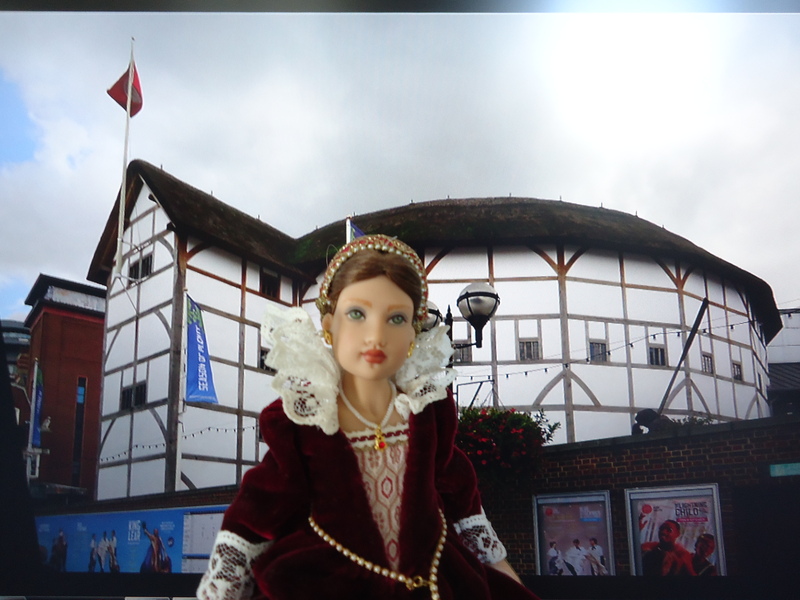 Thanks to modern technology, I was able to put her photo in front of a photo of the Globe Theatre. I thought she’d like that. I think I’ll experiment more with these photo backdrops. 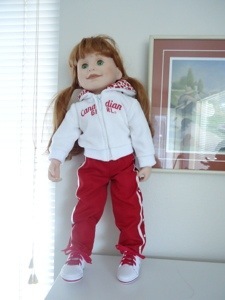 I didn’t use photoshop, I just plugged my computer into the TV, then took a photo of the doll standing in front of the TV. Way less work than photoshop. Henry is my boy dolly from Pottery Barn Kids. I think he is adorable. 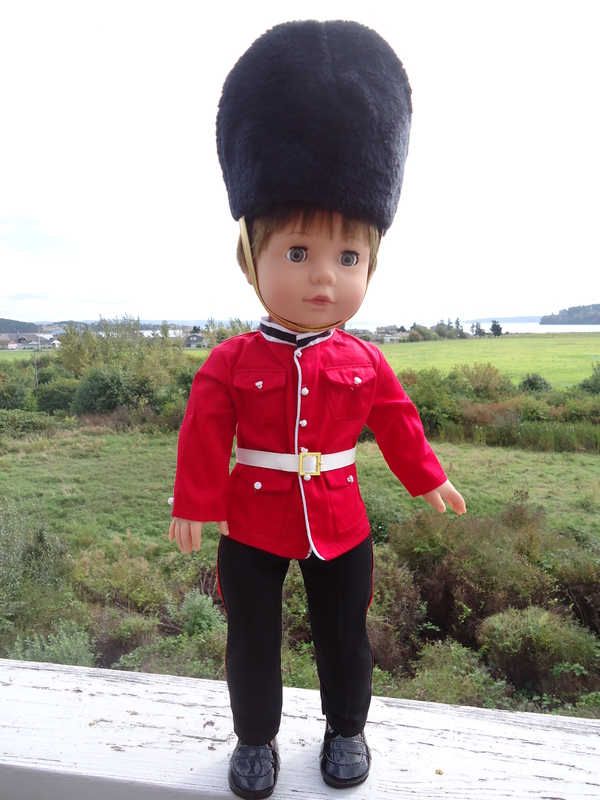 He finally got some new clothes, courtesy of My London Guy (same place as My London Girl). The pants are pretty tight in the thighs for Henry, but they still work. 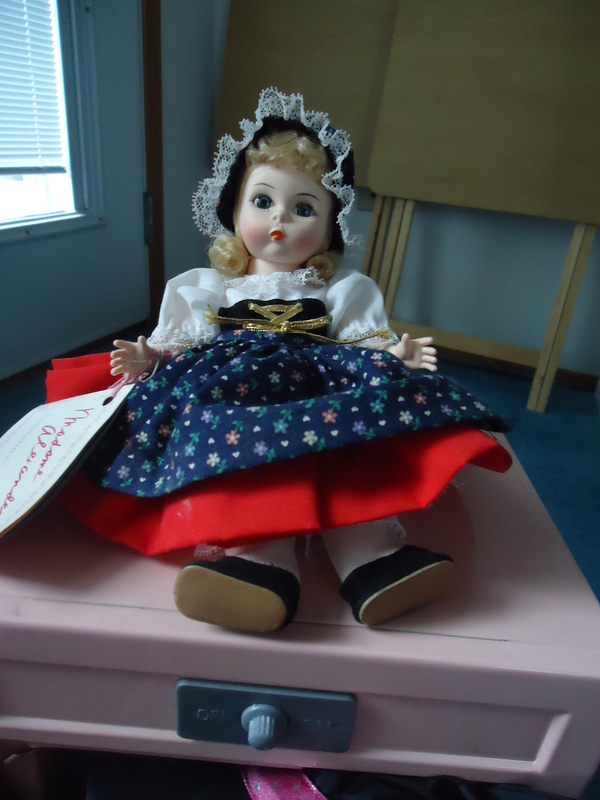 Today we meet Gretel from Madame Alexander. I think I got her for Christmas in 1988. 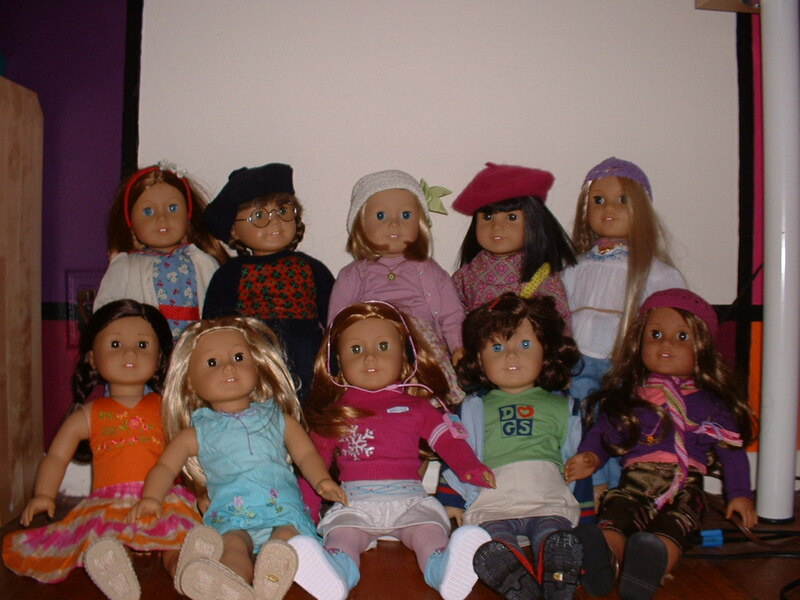 Most of my Madame Alexanders are from the International Collection, but Gretel is a storybook character. 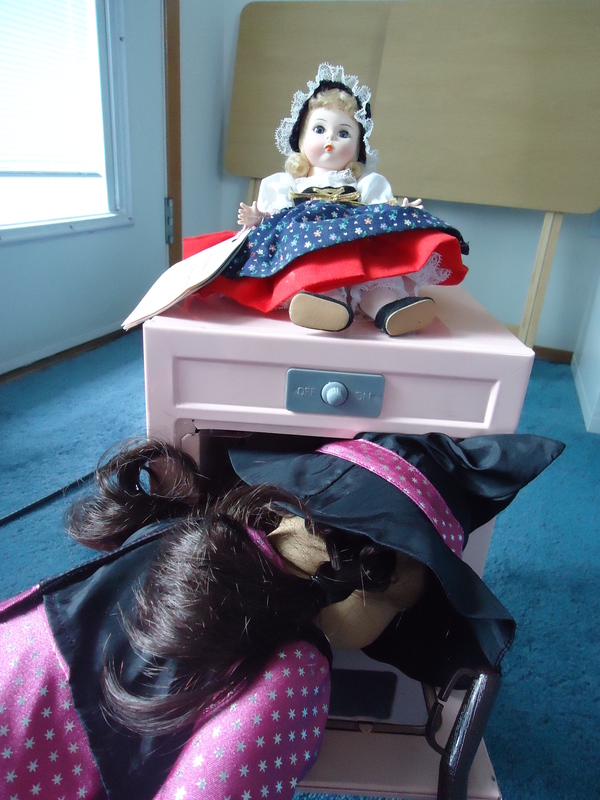 Please enjoy these pictures of Gretel putting a witch in an oven. 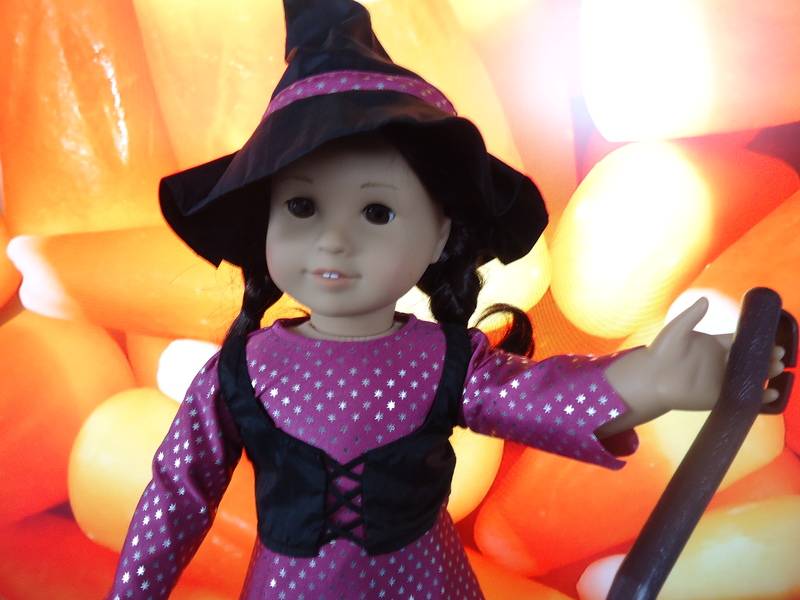 (The part of the witch is played by Jess in the new American Girl witch costume).